Anchor Cottage in Wells-next-the-Sea sleeps 4 people. Situated in Wells-next-the-Sea, this holiday cottage is just a few yards from the picturesque quayside, perfect for fresh shell fish and crabbing, and a short walk from the town centre with several shops, restaurants and popular seaside attractions. Just 1 mile away is an excellent sandy beach with a seasonal miniature train travelling to and from the quayside. Boat trips are available for visiting the basking seal colony and there are many RSPB nature reserves within a short drive. Sailing, fishing, bird watching and walking available from the doorstep. Holkham Hall and beach 2 miles, bustling Burnham Market 5 miles. Shop, pub and restaurant 150 yards. Gas central heating, electric and bed linen included. Freeview TV. DVD. Gas hob. Electric oven. Microwave. Washing machine. Fridge/Freezer. Car park 150 yards. No smoking. Holidays at Anchor Cottage run from Saturday to Saturday. For a better idea of where Anchor Cottage is, you can see Anchor Cottage on the map below. 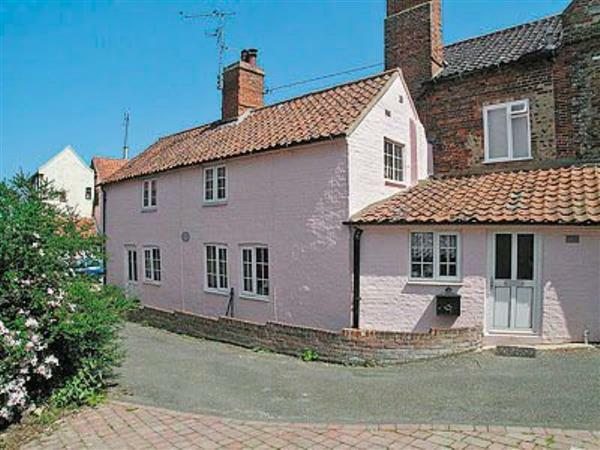 Anchor Cottage is in Norfolk; should you be on the lookout for a special offer, you can find all the special offers in Norfolk. It's always worth checking to see what is on offer at the moment. Do you want to holiday near Anchor Cottage (25699), you can see other cottages within 25 miles of Anchor Cottage; have a look to find your perfect holiday location.